Possible poll responses: "yes," "maybe," "if he cuts my health care" and "no"
(CNN) -- The social networking site Facebook on Monday pulled a third-party application that allows users to create polls after a site member built a poll asking if President Obama should be killed. 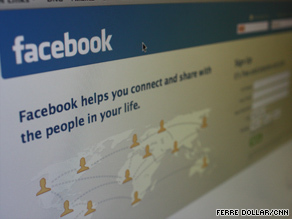 There are more than 350,000 applications on Facebook. The company says it disables any that violate its terms. In this case, Schnitt said, the user made the poll asking whether Obama should be killed available to the general public. The possible responses to the poll were "yes," "maybe," "if he cuts my health care" and "no." Schnitt said the poll "appears to have been posted over the weekend."